How do I find a California Injury Lawyer? - If you have been injured in a car accident, whether as a driver, passenger, or pedestrian. - If you have been injured while on the property owned by another, including restaurants, supermarkets, or any commercial area. - If you have been injured while working, while helping another, or if you are unsure of how and why you have been injured. If you have been injured and need compensation for medical bills, lost wages, or for pain and suffering, contact a California injury lawyer to protect your rights and your economic well-being. It will be very important that you provide all possible information to your California injury lawyer when you meet with them. You will need to describe the event that caused your injury, what injuries you suffered, and how much medical treatment you needed. You will also need to discuss all aspects of your life after the injury, including what may be some personal details and private information. Provide as much information in a truthful manner in order for your lawyer to accurately evaluate your case. California injury lawyers can be found by searching through advertisements and lawyer listings in your area. Advertisements for lawyers in California can be found in many different places, including television, radio, newspapers, or even billboards on highways. While these advertisements and listing services can help you find the names and locations of lawyers in your area, do not ever rely on their claims and promises they may make. Instead, look to evaluate a potential lawyer on your own. Investigate their qualifications, experience, and ethical history before agreeing to allow them to represent you. Check with the California State Bar Association when seeking such information. This website can be a valuable tool when you search for a California injury lawyer. Use the search function to both find and compare lawyers. Injury law comes in all different shapes and sizes. 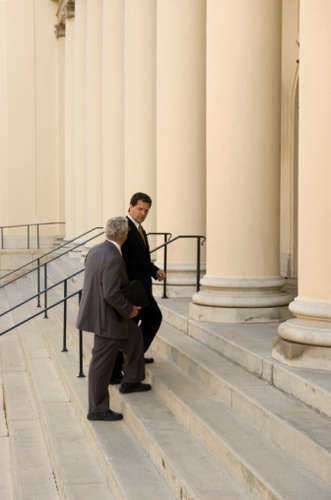 Many lawyers in California will take on any injury case that they feel will be successful. However, just because a lawyer is willing to take a case does not mean they are the right lawyer to represent you. Try to find a lawyer that specializes in the area of the law that your injury involved. Some lawyers will specialize in auto accidents while others may specialize in workplace accidents. Only select a lawyer that has taken cases like yours and been successful in the past. When you meet with a California injury lawyer, come prepared with any documents which can help the lawyer understand your case. Bringing medical records, police reports, and insurance documents can be just some of the paperwork that your lawyer needs to review before evaluating your case. It will also be important that you come prepared to discuss your case in great detail. Know the specific names, dates, and places that involve your injury. If you are unsure of dates, review them and write them down for when you meet with your lawyer. The preparation of questions in advance of your meeting will help both you and your lawyer in discussing your case. You will get important questions answered and your lawyer will learn about what is important to you during legal representation. All California injury lawyers must graduate from a United States law school, either accredited if outside of California or unaccredited if completed in the state. They then must pass the California bar examination and meet the character and fitness requirements as outline by the California State Bar Association. After these basic requirements, you should only seek the help of a well-qualified lawyer who has had experience helping other clients with similar cases. Do not hire a lawyer who is just starting out or who has not worked on similar cases in the past. It is important that you look past the glitzy advertisements and really find the important information about a lawyer. Conduct some research about their past cases, how successful they have been, and their reputation in the community. A good California injury lawyer will have the skills and ability to provide important advice and bring your case through the legal process. They will also know whether your case will have a chance of success and how to best strategist so that your case accomplishes what you need. Civil litigation requires organizational skills and good negotiation skills, so ensure that your lawyer is capable of both of these things. Keep all of this in mind when meeting with your lawyer and discussing your case. Be wary of any fees or expenses that do not seem reasonable. You should also ensure that your lawyer is acting in an ethical manner and always acts with your best interests in mind. Do not allow an injury lawyer to bully you into making decisions you do not want to make. Remember that the lawyer is working for you and should listen to your wishes. If you have a lawyer who is acting inappropriately and not handling your case properly, contact the California Bar Association to ensure that your rights are protected and bad lawyers are reported. California injury lawyers will typically work on a contingency basis, which means they will collect fees only at the completion of your legal representation. Usually, they will take 30% to 40% of the total award or settlement achieved for you. If your lawyer is unsuccessful, no fees will be paid by the client. This is a very helpful method of allowing people access to the courts who cannot afford the upfront fees and costs of a lawyer. Always be aware of any other expenses your lawyer may expect to take. They may require that court filing fees, expert costs, or any other administrative costs also be taken at the end of the case. Be sure that you understand all fees and rates and that you get all agreements in writing before agreeing to representation. What will be the total expenses I will be responsible for at the end of the case? What happens if the case is appealed? What type of damages do you expect I will be compensated for? How long should my case take? How can I contact you and when will you contact me for updates in my case? Injury lawyers are available in all areas of California to help client who have been injured in a variety of ways. Auto accidents, slip and falls, and workplace accidents are just some examples of the specialties of injury lawyers. California provides for tort law that protects its citizens from those responsible for their injuries. In order to find liability for injuring another, California requires that the person have a duty to not injure that person, they breached that duty, the breach caused the injury, and as a result, the person suffered compensable injuries. If you need to contact an injury lawyer, California and the state bar association has listings of qualified and well respected lawyers in your area. Ensure that you shop around and investigate potential lawyers before allowing any lawyer to represent you. You may find that some lawyers will be better suited to helping you or your family members. Always consider the time you will be spending with your lawyer, as these cases can often last months or years to come to a resolution.